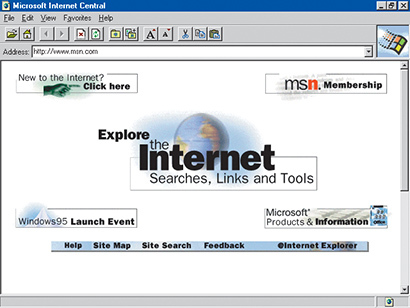 This month, we are looking back to when Internet Explorer was born. Internet Explorer, commonly abbreviated as IE, is a series of web browsers that were developed by Microsoft. The first Internet Explorer was derived from Spyglass Mosaic, however the original concept came from the NCSA (National Centre for Supercomputing Applications). As the NCSA was a public entity, Spyglass became their commercial partner. They then delivered two versions of the browser to Microsoft who developed it further. In the summer of 1995, Microsoft released Internet Explorer 1.0 as part of the add-on package ‘Microsoft Plus!’ for Windows 95 that year. Since then, 13 versions of the browser have been released with the most recent being IE 11. 20 years later, many computer users still use Internet Explorer, but with the rise and popularity of other browsers such as Firefox and Google Chrome, support for Internet Explorer is soon coming to the end, and Microsoft already beginning work on a new browser called ‘Project Spartan’. Without the introduction of Internet Explorer back in 1995, I don’t think the World Wide Web would be as advanced as it is today.